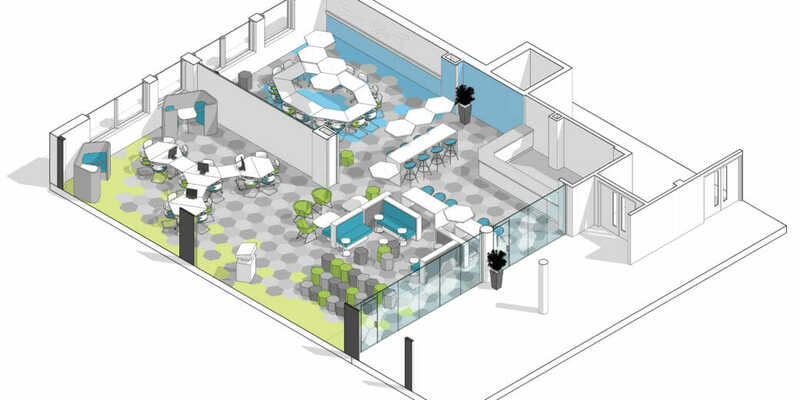 DKA were asked to provide an interior concept scheme for the redevelopment of an under-used student ‘Cyber Café’. 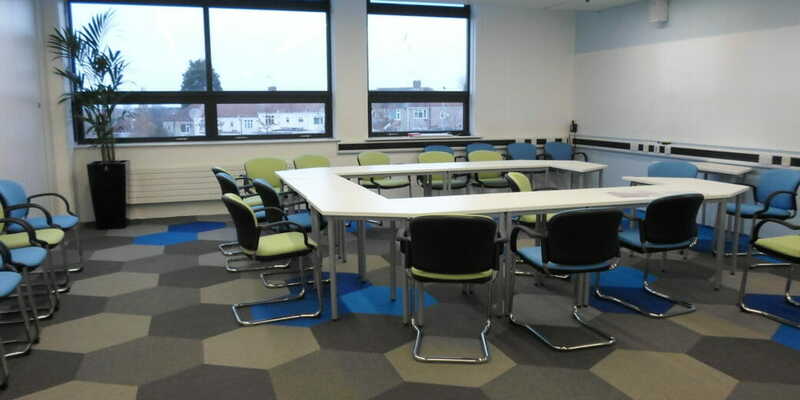 The proposal provides a working lounge for teachers, giving them the space for large presentations and meetings as well as more intimate space for group working at PCs or a quick catch-up over a coffee. 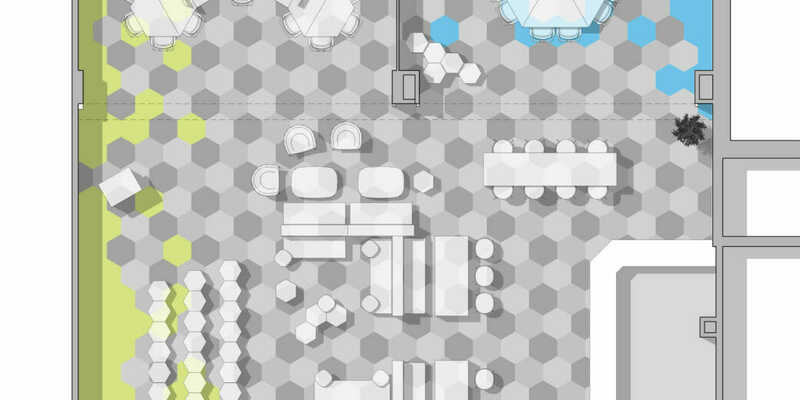 We proposed ‘The Hive’ as a concept that encapsulated the idea of coming together to work collaboratively and expressed this through the interior finishes by drawing on the shapes found in a natural hive structure. 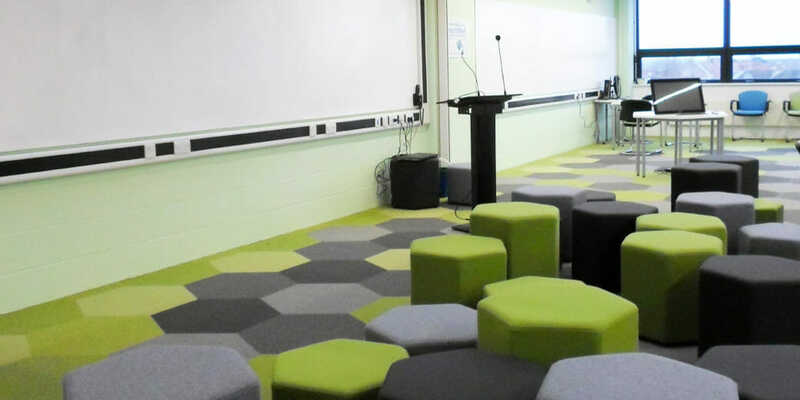 The design also had to consider the privacy implications of a large ventilation opening which connected the space to the upper floors, allowing students to look into the space from above. 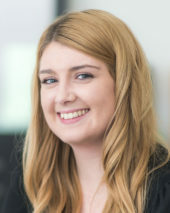 Rebecca joined DKA in 2007 and has worked across all sectors, initially in a technical capacity and now leading our interiors team. This mix of technical and interiors experience has provided Rebecca with a well-balanced approach, with designs offering both creativity and practicality. 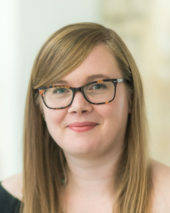 She has a Masters in Environmental Psychology which developed her awareness of the impact design can have on people’s experience of the built environment. Rebecca is our expert in dementia-friendly design and believes that good design can help to empower all building users.